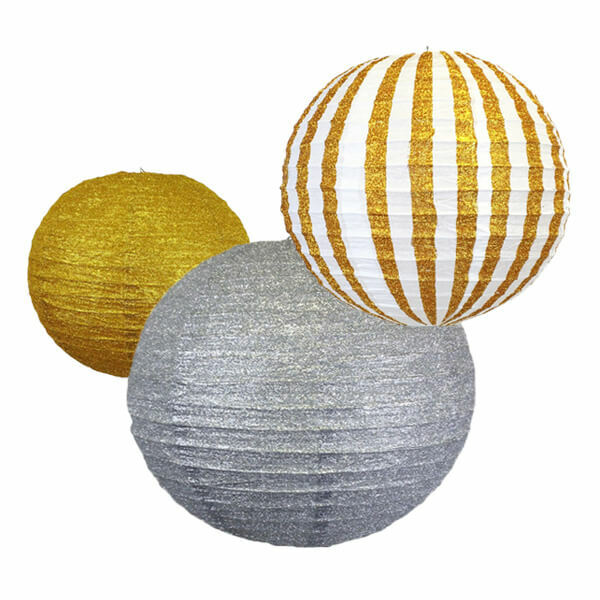 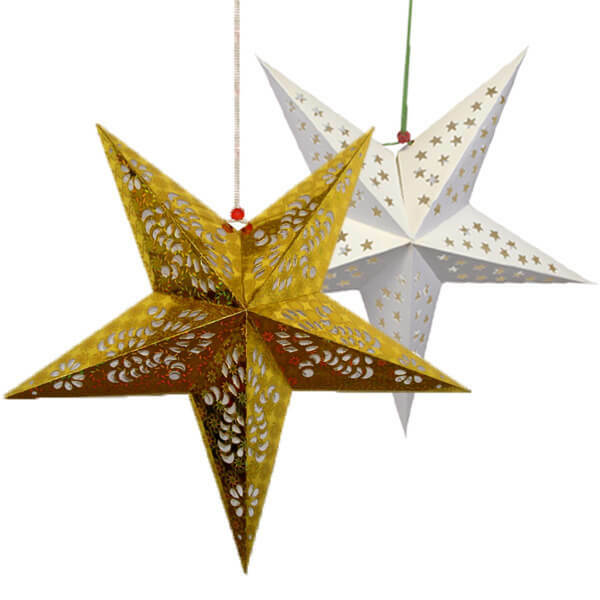 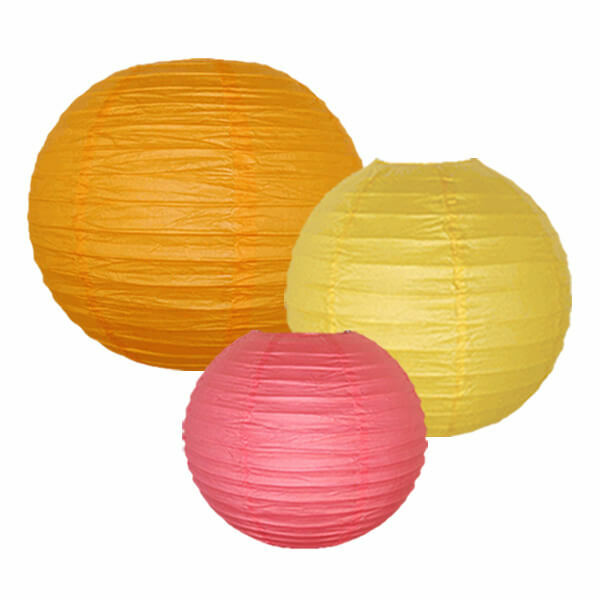 We carry Chinese paper lanterns in a wide variety of styles -- not just the round style of hanging paper lanterns, but also paper star lanterns (shaped like stars), accordion paper lanterns, cylinder-shaped paper lanterns and paper lanterns in irregular shapes. 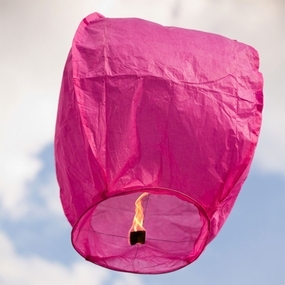 There are also sky lanterns (paper lanterns that fly in the sky), water lanterns (paper lanterns that float on the water), hanging paper candle lanterns and paper candle bag luminaries. 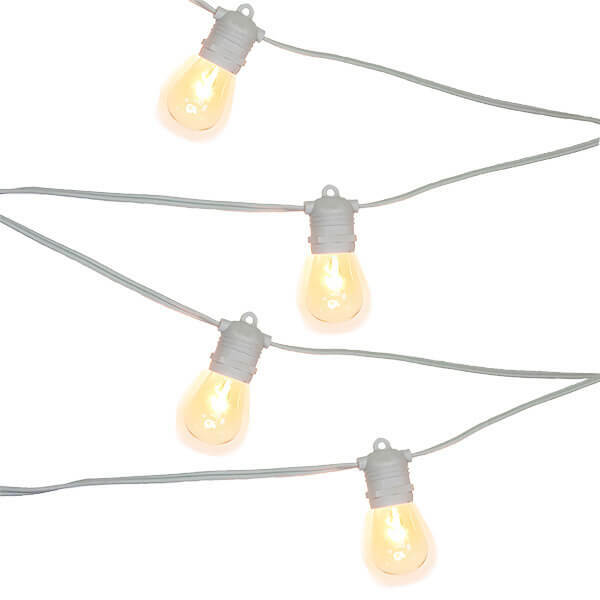 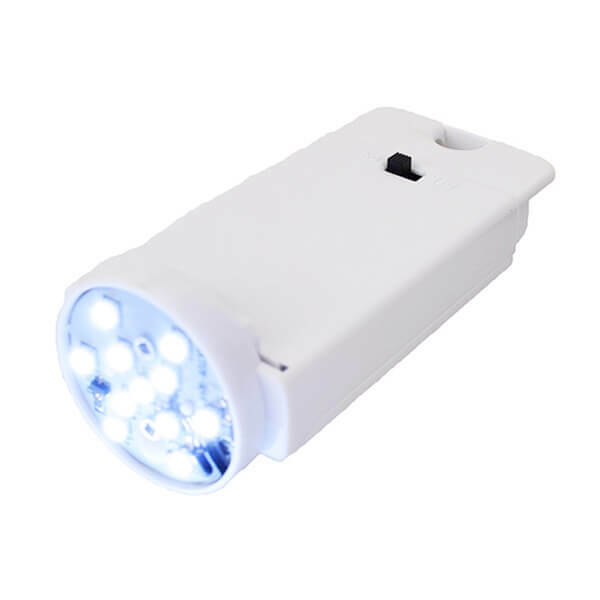 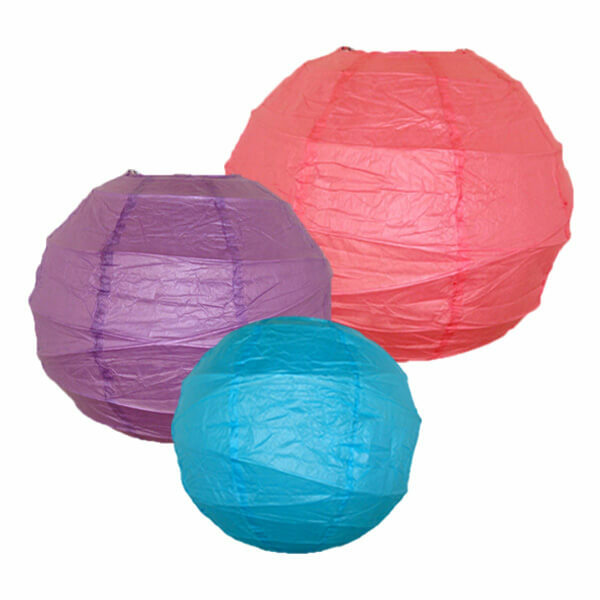 We also offer strings and LED paper lantern lights to hang and safely light your beautiful paper lanterns. 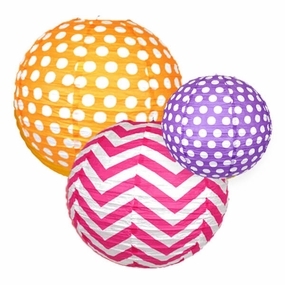 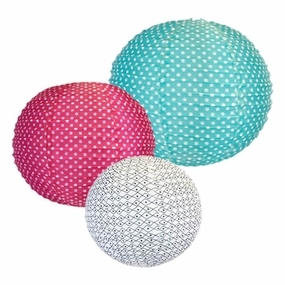 And even among the round hanging paper lanterns, there's a lot of room for creativity: We offer lanterns that have fun patterns, such as polka dots, zebra stripes, chevron and even jack o' lanterns and Santas, as well as more traditional Oriental themes. 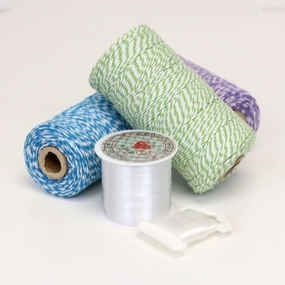 And there are many more patterns to choose from! 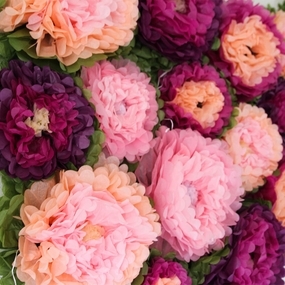 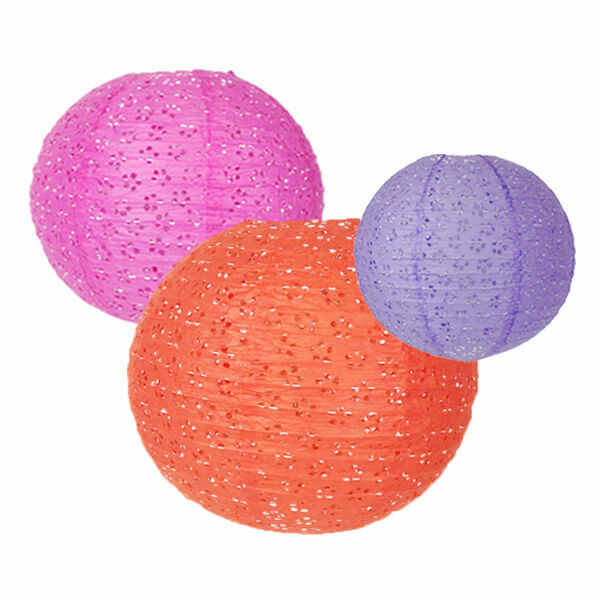 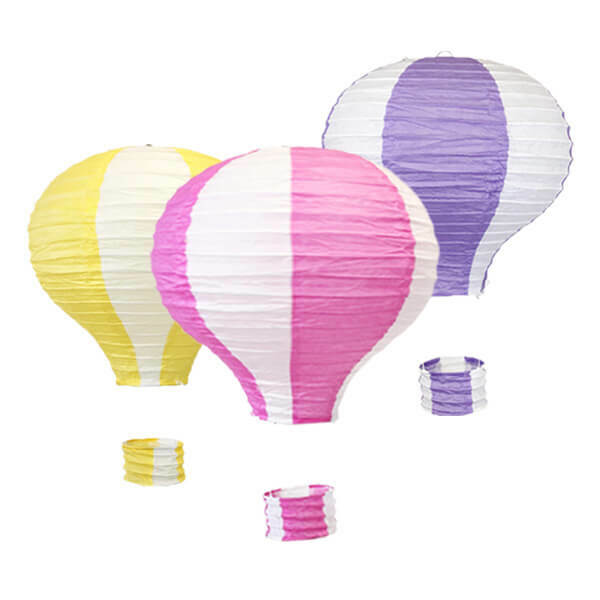 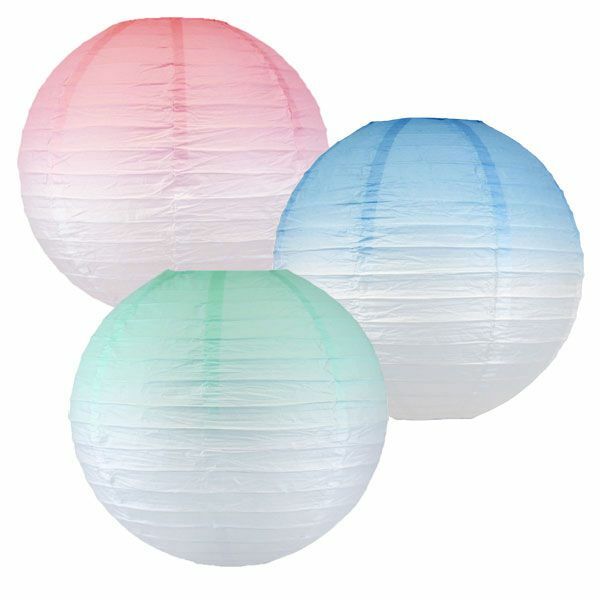 We have more than 40 colors available including pink, gold, blue, red, white paper lanterns and more. 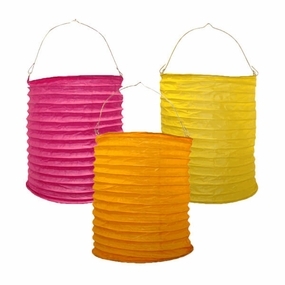 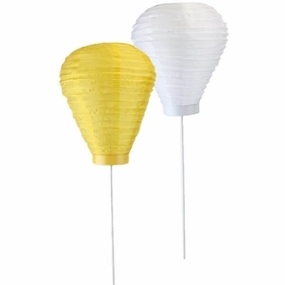 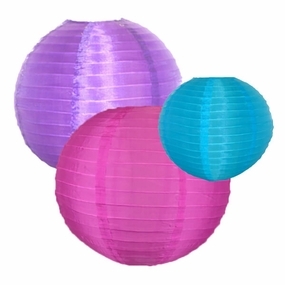 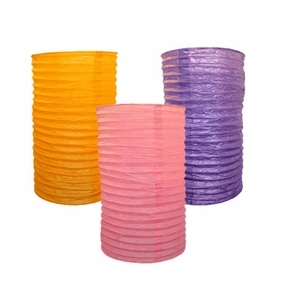 We also sell high quality paper lanterns bulk with cheap prices like 4 or 8 assorted packs. 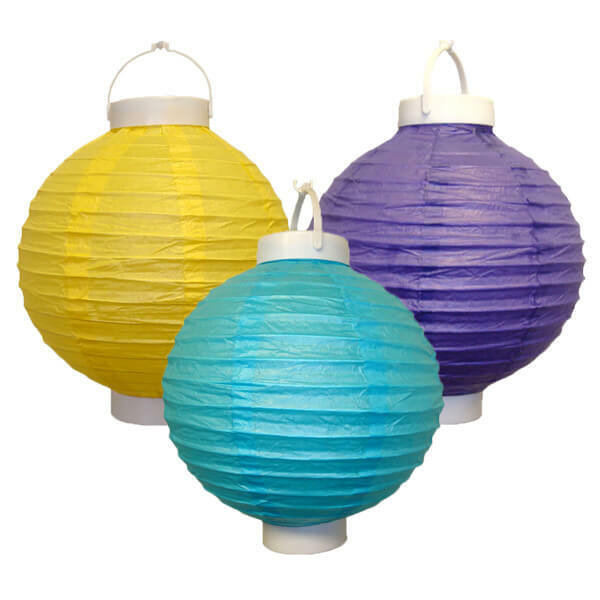 Browse our selection of hanging paper lanterns today and enjoy affordable, festive lighting at your next party, wedding or other event.